One of my best friends is training for a half marathon and I’ll admit, though I don’t have the time to train for something like that right now, it has piqued my interest and encouraged me to shut my laptop and get outside more often. For one, being outdoors is such a wonderful stress reliever (…and a healthy escape from my desk) – and two, I like that I feel refreshed and energized when I come back from a run or hike… there’s really nothing like fresh air, a beautiful view and healthy movement to ease my stress level and motivate me to take on the rest of the day. …Which brings me to what I am wearing in this post… Good transition, right? 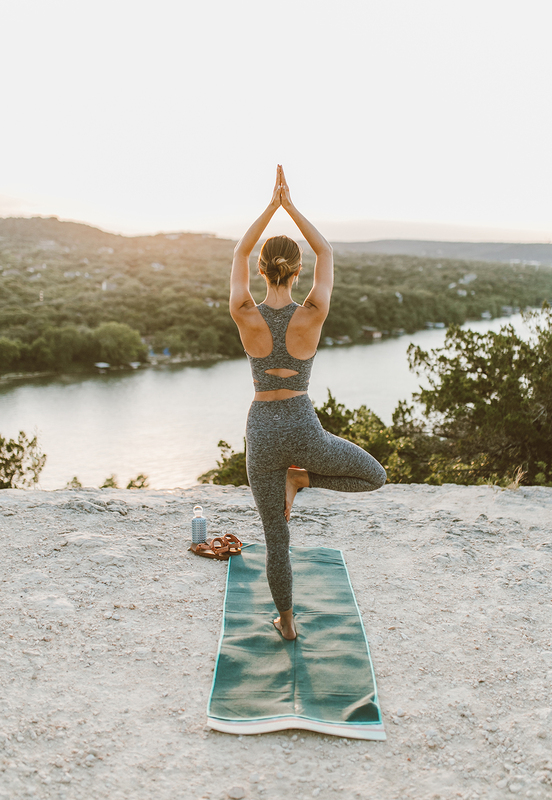 But here’s the thing, my leggings, sports bra and hoodie are by Outdoor Voices – a wonderful sportswear brand that stands behind wellness and as they say, “doing things.” Think more casual activity like a leisurely bike ride around town, rather than crossfit or a triathalon. So – what does “doing things” mean to me? It means stepping away from the black hole that is my email inbox (…can you tell this month has been a struggle? 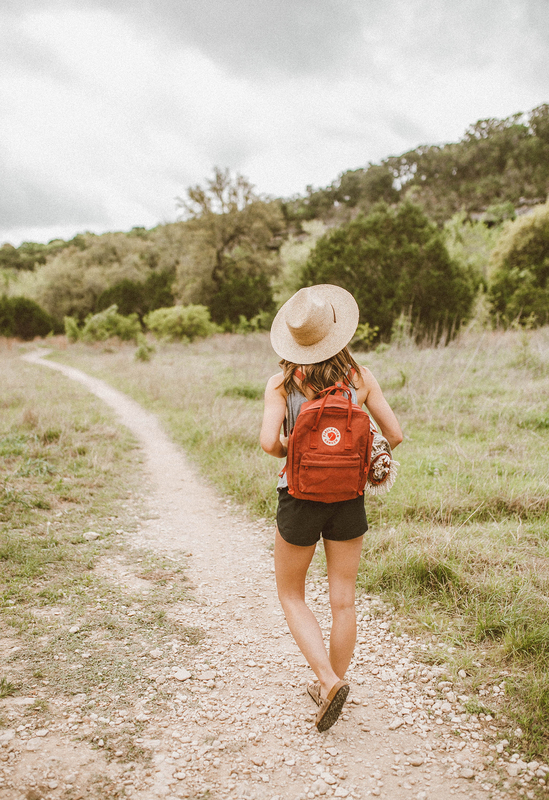 Ha..), to take a hike around Mount Bonnell, that gorgeous cliffside trail you see in the photos above. I’ve been coming to Mount Bonnell since I was a kiddo, and it never fails to leave me both rejuvenated and in awe of its beauty. Gorgeous green trees, the lake in view and crisp air all around me – it’s hands down one of my happy places. 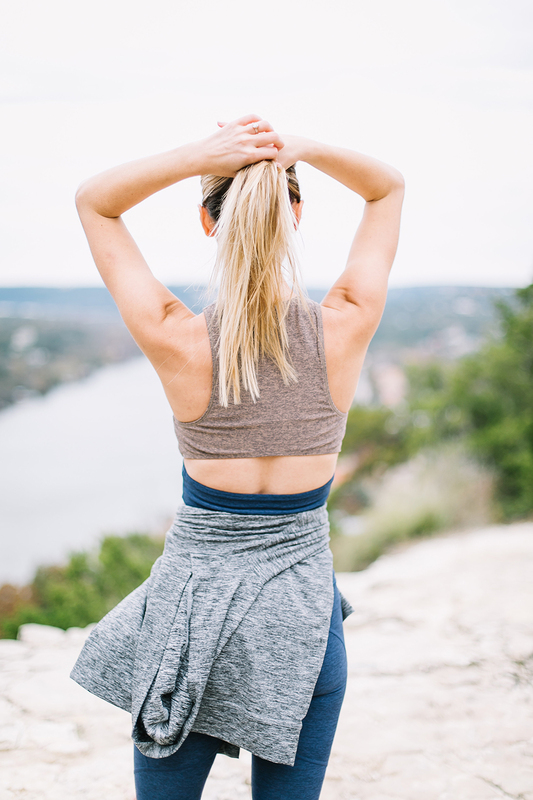 I love that Outdoor Voices focuses on fashionable, leisurely fitness pieces that are seriously SO flattering and practical! They have a ton of fun crop-top options (like the one I have on, how cute is the color block and back detailing? Wearing the “Portobello” color combo + navy leggings) and their hoodies are my absolute faaaavorite! (I have this one in two colors…I’m obsessed!). 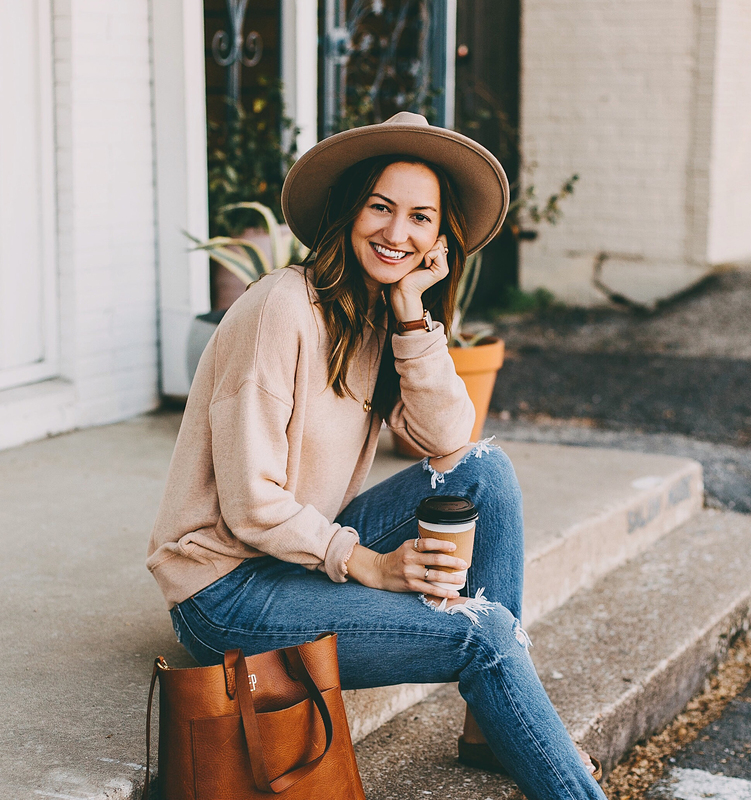 I’ve been wearing their pieces for over a year now (…you might remember this pink + grey combo I sported for Style Me Pretty last year) and each season they carry new color combinations and styles that I completely adore. Balance in life is key – it’s something I am constantly working towards…some days are better than others, but it really should be at the top of my list of goals. With balance comes peace of mind, greater happiness and of course, fewer “cry-fests”…ha! And while staying in shape is big for me, the mental benefits of going outside and being active are equally vital in my world. Such a great read…really needed this today! Also love the crop top. Hey Megan! I am so glad to hear that!! It felt good to write it…therapeutic for sure! Thanks for stopping by, XO!! I journal to get all of my stress out. Even if I tear it up afterward or never read it again, I find it’s a valuable tool in getting rid of negative emotions! PS. What is your little rib tattoo? So cute! I like that idea a lot! I love writing, so I’m sure that would be a really good release for me! …Whether I throw it away or not, ha! Thanks for sharing that!! 🙂 My rib tattoo is a W in Times New Roman font.. W for Watson (very proud of my fam + name!) and the font choice because I studied journalism in school and that used to be the standard font in newspapers/magazines (I always wanted to be a magazine writer/editor). It’s the size of a nickel, very small and easy to hide, too! That’s awesome! I love a well-thought-out tat! Thanks, Alana!! My mom is considering getting it now, too, ha! When a tat is “parent approved,” I’d say I did okay, haha! THIS!! <3 I definitely feel the same when it comes to my blog, but man is it tiring! I've come to truly appreciate my yoga classes as my balance – when my phone isn't inches away and I can clear my head. I love doing Bar Method because it’s an hour of “me time” where I can have time to myself while bettering myself at the same time. I love the outfit!! This crop top is ADORABLE! Thanks for sharing, because I had never heard of this brand! I hear ya on finding the work/life balance. First of all, yes! Cry it out, girl! Haha. I think I’ve had a couple sob fests recently (wedding planning, making everyone happy…you know… 😉 and I think it’s one of the most beautiful ways to clear out all of that negative energy! ← Cozy Holiday Gift Idea: Ugg Slippers!